A girls clothing set consisting of 3 pieces, a white 't shir..
A rose night set or sleep set. The shirt has an all over pri..
A milk white night set or sleep set. The shirt has an all ov..
A light blue night set or sleep set. 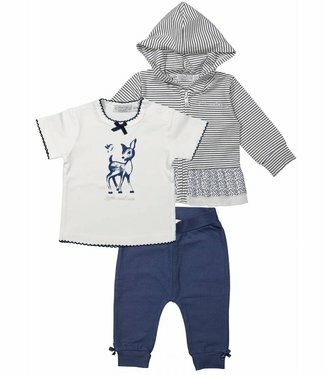 The set has a soft blue..
A boys navy blay with white striped bodysuit. 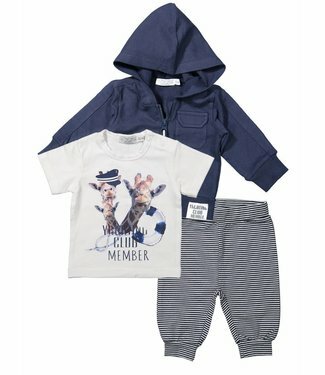 This bodysuit ..
A boys clothing set consisting of 3 clothing pieces. A boys clothing set consisting of 2 pieces of clothing. 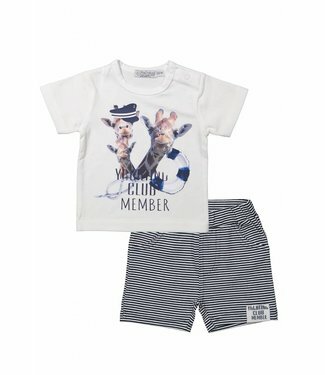 Unisex clothing set of the children's clothing brand Dirkje ..